There are many traditions of Christmas punch in Europe, north America and south America, involving special ingredients for celebration and, in the northern hemisphere, an emphasis on a warming drink with symbolic flames for the darkest and coldest nights of the year. In Charles Dickens’s A Christmas Carol (1843) Scrooge ‘sees’ a vision of how Christmas should be, where the feast is topped by ‘seething bowls of punch, that made the chamber dim with their delicious steam.’ This novel had a major impact in both Britain and America on the Christmas image, with the feeling of good will to neighbours, bountiful feasts and, of course, the Christmas bowl of punch. *Nowadays grease-proof paper could be used to replace the leather cloth. 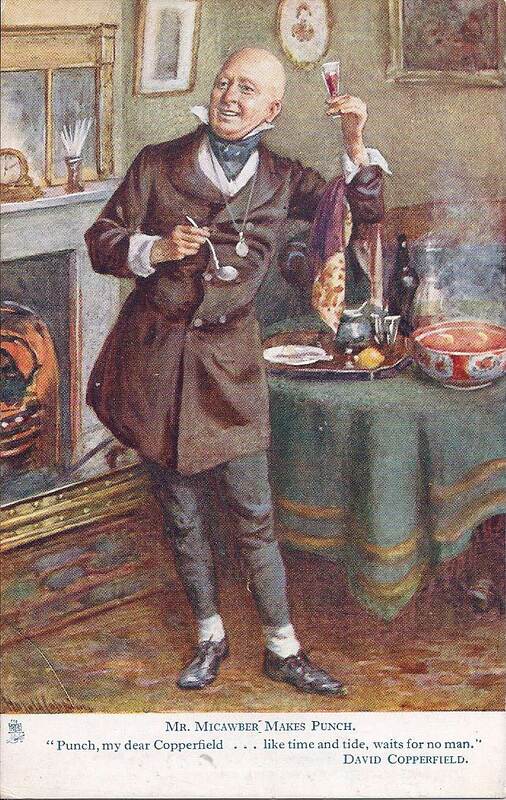 Dickens’s reference to the punch taking on a sweeter taste is due to the burning of the alcohol. 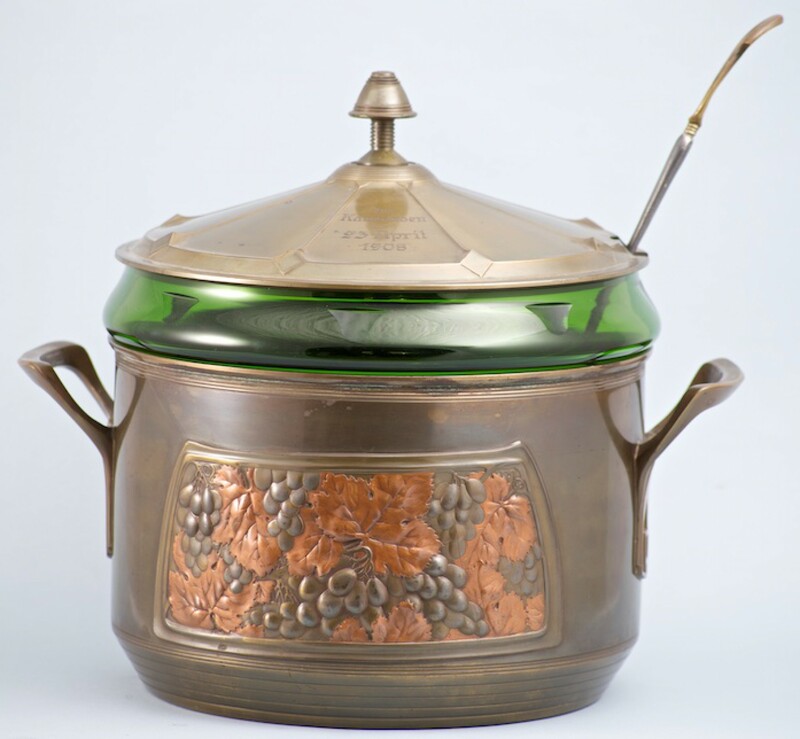 Depending on the length of time the drink is allowed to burn, this reduces the liquid content of the drink, concentrating the flavours to make the taste richer and deeper. 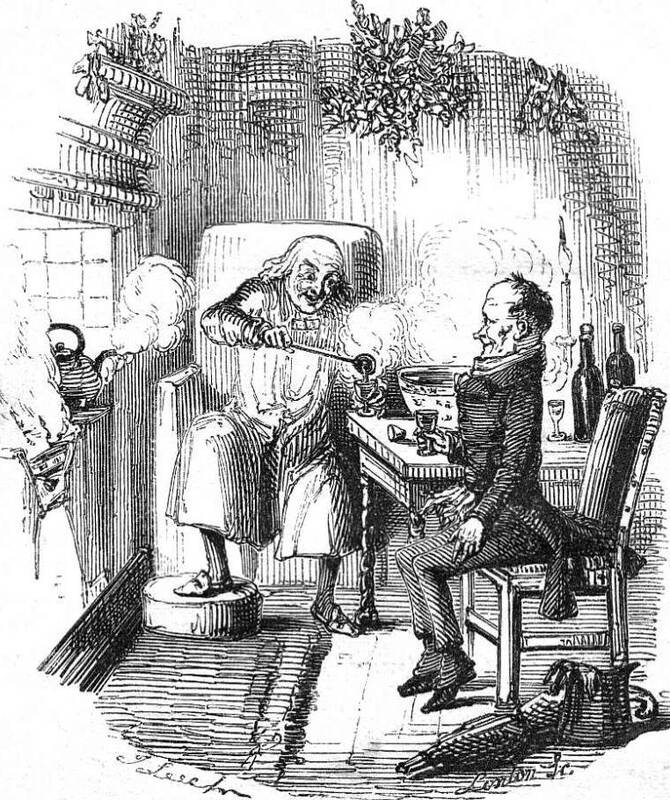 Punch features again in Dickens’s David Copperfield (1850), in chapter 28 ‘Mr Micawber’s Gauntlet’ with this wonderful description of Mr Micawber forgetting his worries as he immerses himself in the making of a steaming bowl of rum punch.